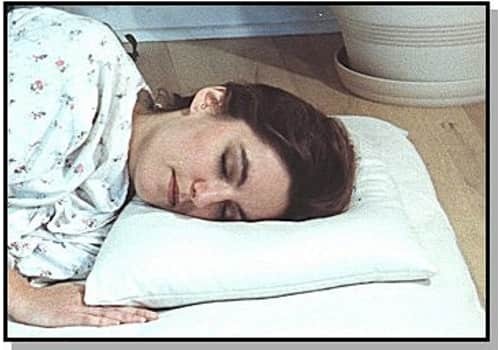 The WheatDreamz pillow filled with buckwheat hulls conforms to your unique head and neck contours, offering the best cervical support (whether sleeping on your side or on your back) that chiropractors recommend. These thermodynamic pillows don't conduct heat, and so maintain a perfect body temperature all night long. A Wheat Dreamz buckwheat pillow isn't like the others: its 4 lbs. of hulls are organically grown in America, non-fumigated and enclosed in a durable, soft unbleached cotton twill shell. This shell features a hidden zippered opening which allows for adjustability and emptying the hulls to launder the shell. Not too large or too small, its 17" x 21" size is perfect for your head and neck. Includes a free pillowcase made from pure, unbleached 200-count cotton. Also available extra buckwheat hull filling.